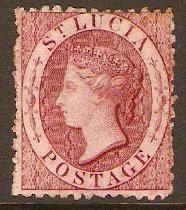 St Lucia 1891 1s Dull mauve and red. SG50. Mounted mint 1891 1s Dull mauve and red. SG50. Block of 4. 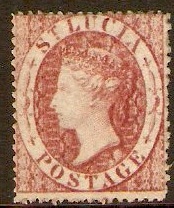 Queen Victoria definitive stamp. Note bottom 2 stamps are unmounted mint. 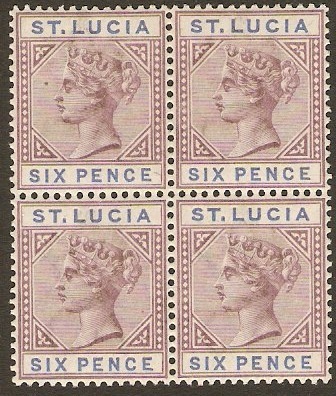 St Lucia 1891 6d Dull mauve and blue. SG49. Unmounted mint 1891 6d Dull mauve and blue. SG49. Block of 4. 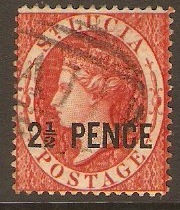 Queen Victoria definitive stamp. 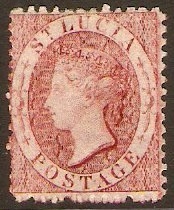 St Lucia 1860 (1d) Rose-red. SG1. Heavy mounted mint 1860 (1d) Rose-red. SG1. 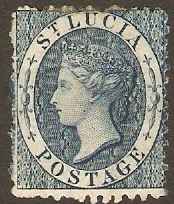 St Lucia 1860 (4d) Blue. SG2. Heavy mounted mint 1860 (4d) Blue. SG2. 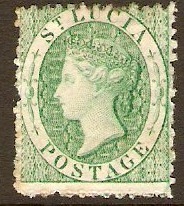 St Lucia 1860 (6d) Green. SG3. Heavy mounted mint 1860 (6d) Green. SG3. 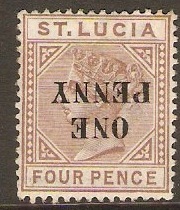 St Lucia 1863 (1d) Lake. SG5. Unused 1863 (1d) Lake. SG5. No gum. Heavy mounted mint 1863 (1d) Lake. SG5. 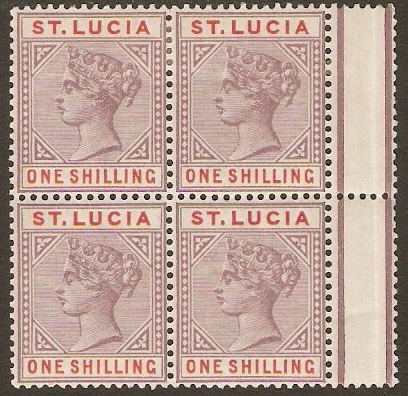 St Lucia 1863 (4d) Indigo. SG7. Heavy mounted mint 1863 (4d) Indigo. SG7. 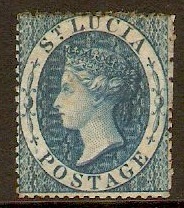 St Lucia 1863 (6d) Emerald green. SG8x. 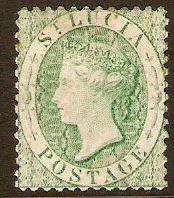 Unused 1863 (6d) Emerald green. SG8x. No gum. 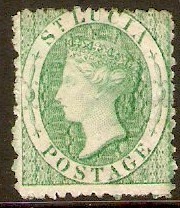 St Lucia 1863 (6d) Emerald-green. SG8. Heavy mounted mint 1863 (6d) Emerald-green. SG8.